“I’m starting to wish they’d left him where he was.” A comment on a Richard III related facebook page. Not one I agree with entirely, but I see the point being made. If he was still where he was originally buried – in the ruins of Greyfriars Priory under a social services carpark in Leicester – there’s whole bunches of arguments we wouldn’t now be having. But to wish this monumental discovery unmade would be to lose a good deal more than just the tension in the air. 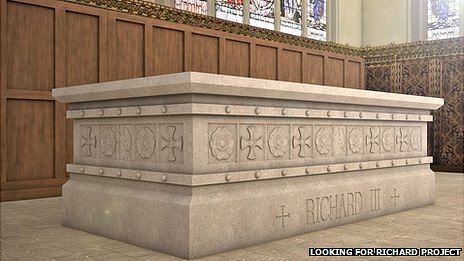 There are things we now know about Richard III (with more, surely, to come) that were impossible before his remains were found. So, they were found and now they have to be dealt with. Reburied. And that’s just the latest in a line of displeasure that began within a week of the press conference announcing his identity. Reacting and responding to some of this displeasure has taken me on something of a journey. It began with disbelief – how could anyone be so ungrateful to the team that found Richard? to the cathedral that’s going to be his burial place? ; then frustration and (I’ll admit) a bit of snark; and now I’m in a slightly calmer place, two profound moments of insight and understanding later. Firstly, the sheer disconnect between ‘Ricardians’ and the ‘rest of the world’ (profound insight #1). I’ve said before that Ricardians come in a bewildering variety of flavours, so I should make it clear here that I’m referring to white-hot-with-passion Ricardians, who bristle with indignation, even hostility, when someone questions the received belief that Richard could do no wrong. This is a minority group, but very vocal. One or two of them can lead the agenda in a given forum, shortshrift given to anyone who doesn’t fall in behind them. I’ve met a few and find them very difficult to have rational conversations with. Their voices are so loud that they drown out those of us who want the discussion to be a little less strident (and that is, by far, the majority of us). They react swiftly, and sharply, to any perceived criticism of Richard and they are often ‘distraught’ or ‘astounded’ by the things others say or do. They feel that they’re in danger of losing ‘their’ Richard, that other people – who probably hate him, or at the very least, don’t love him – are getting their hands on him. And it hurts (profound insight #2). There are calm and rational voices in this discussion belonging to people who believe that Leicester cathedral’s decision should be changed, that the words they’ve chosen are unfortunate and that it’s all gone horribly wrong. But these voices are being drowned out. With abusive emails being sent to the Dean of York this is the view many people now have of Ricardians as a whole. And it’s an entirely incorrect view. No-one does the group they represent any favours by acting in an irrational, or criminal, manner. Lack of self-awareness in this causes a good deal of harm. If someone says “That’s the wrong way to behave, it makes people think poorly of us as a whole” then that’s probably a sad, but unavoidable, fact. Harm has been done by the strident and the unhinged. The rational among us now have to work double time to mitigate this harm. Firstly, by making it very clear that we are rational. My profound moments of insight are hardly new or exclusive to me. There’s probably some lovely sociology or psychology jargon that covers them in a neat and scholarly way, but as I don’t know what that jargon is, all I can do is press on on my own. I’ll take them out of order. While one occurred after the other, it’s the second that has priority. Profound Moment of Insight #2 – When you share something you love with the rest of the world, you give a little of it away. And that allows the rest of the world to see it through their own eyes. They might have picked up your interest in whatever it is, but they haven’t been infected by your passion. An episode from my childhood might be a good illustration of this. 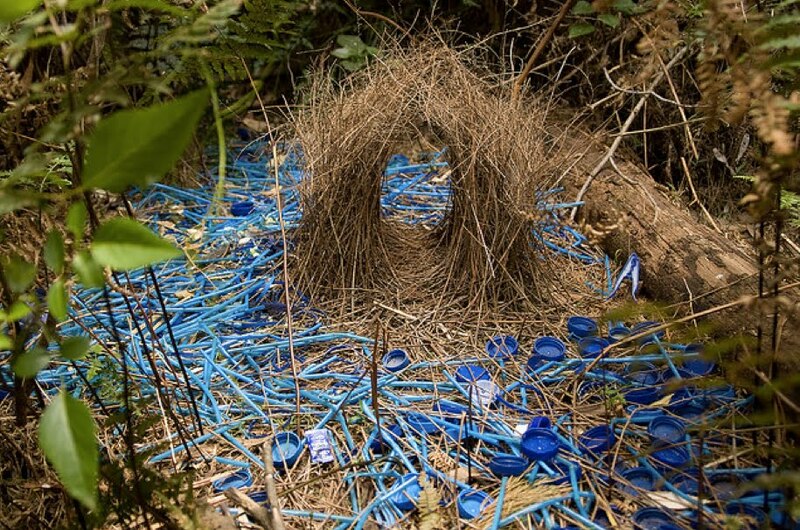 When I was about 10, I found a bower bird nest. I kept it a secret for a long time, then one day I showed my mother. She wasn’t quite as impressed as I was but that was ok. Then, without consulting me at all! she took a group of other people down to see it and it was all spoiled. What had been my glorious wonderful secret thing belonged to other people. I was incapable of expressing my feelings to myself, let alone my mother, and she thought I was being awfully silly. But the magic had gone! People who just didn’t understand had seen the nest! And how could they understand? They weren’t me! They didn’t stumble on it and stop in their tracks, breathing in the wonder of it. That’s how I think it is for some Ricardians at the moment. Richard III is theirs. He belongs to them. And while the dig in Leicester was going on, the excitement of it masked the looming reality: the rest of the world was soon to be made aware of Richard, and they weren’t going to magically, miraculously, come to see him the way Ricardians do. In fact, some might even have some harsh things to say! But the harsh things can be dealt with. After all, Ricardians of various flavours have been countering the harsh for a long time now. I think what’s worse is that people who didn’t care much about Richard not that long ago, now have some practical things to say. Not only has Richard been taken away by the rest of the word, he’s been taken away by people who now have to do something about him and they just don’t care! Not in the right way, anyway. 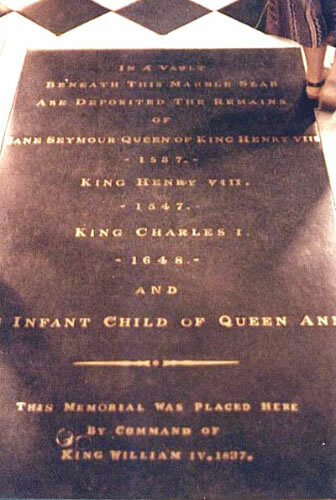 Richard III never did belong exclusively to Ricardians but now the illusion that he did is gone. There are other voices out there now that can’t just be ignored. People want to discuss him and they can’t be silenced. “But they didn’t care about him not that long ago!”. And I understand this, I really do. But it was the Richard III Society that put up the money for the dig and the research, two members in particular who got the whole thing going and kept it going. For this the names of Philippa Langley and John Ashdown-Hill should go down in Ricardian annals for all time. They worked hard, sometimes against stiff odds. And they achieved what they set out to. The Society as a whole did. And this is where it gets tricky, because it was the Richard III Society that gave Richard to the rest of the world. We can’t even pretend he’s exclusively ours anymore. We shared him with the world and gave a bit of him away. Any group of people with a deep and burning passion for someone or some thing is a puzzle to the rest of the world. The deep and burning passion people have lived with their passion for some time (though a few manage to be burningly passionate after reading a single novel, but that’s another story.) When the rest of the world is made aware of the object of that burning passion, fire and love and belief don’t immediately manifest themselves in their hearts. The rest of the world rather likes to make up its own mind. Having done that, some of them may join the deep and burning passion group. Others won’t, their interest will be heightened but they won’t necessarily buy into anything. That’s the way of things. There are three ways of convincing members of the rest of the world to join that group. One is by presenting the ‘facts’ as the group sees them (or as individuals within the group see them), encouraging them to look at other ‘facts’ as the group might not see them, and allowing minds to be made up, objectively and dispassionately. The second way is to just present the ‘facts’ as the group sees them, a kind of take or leave it approach. And the third is far more insidious and dangerous. There is a history related forum (probably not the only one) on the internet that, checked off against a ‘cult-like features’ list, comes dangerously close to cult-like. This is a factory for producing ‘people who think like us’ and weeding out ‘people who don’t’ (or ‘haters’). The first method is the one I favour. I get uncomfortable when someone tries method 2 on me and cults make me fight back. With a vengeance. The rest of the world hasn’t been given time to make up its mind. It’s being beset, from all sides, by already established views of Richard. “Keep up!” they’re told, and it’s not easy. We’ve had time to process it all, get used to it, follow the dig, shed a tear at the press conference, get our hopes up about what it all means. The rest of the world hasn’t. They woke up one morning to a bewilderment of information (and misinformation) about Richard and Ricardians and I’m not surprised they’re confused and bemused. So we should tread a little more gently and softly. I’m sure the Chapter of Leicester Cathedral didn’t mean to be unkind or patronising with they spoke of Richard representing both the ‘honourable and dishonourable’. To me, they come across as more puzzled than patronising. Nor do I believe the phrase ‘modest dignity’ found in their design brief for Richard’s monument to be any kind of ‘slap in the face’. They have practicalities to consider, and they have to take into account that the jury is still out on just where Richard sits on that honourable/dishonourable continuum. Even the Ricardian jury is out. There a range of views within Ricardian circles, ranging from ‘he could do no wrong’ to ‘I think he might have done a little bit wrong’. So if we’re not united on our stance (and why should we be? ), how on earth can we expect the rest of the world to be? So, we have at one end of the road some very vocal, devoted and passionate Ricardians who want a tomb along the lines of the original design. Which is quite lovely. If that can be achieved without causing impediment in the cathedral itself, it’s a ready-made solution. The decision seemed to have been made, but as I wasn’t part of the discussions and haven’t seen any kind of minute or document to show that – unequivocally – the decision was made and fully accepted by the cathedral, it’s hard to know quite why it was unmade (if it was unmade). I do understand the disappointment. That tomb would have been pretty cool. Whatever the history of this, we’re at a different place now. The tomb, as is, has been declared too large and too obtrusive. Whether that’s the case or not, again I don’t know for certain. I’ve never been to Leicester cathedral. All I can do is listen to those who have. The place we’re at now is the design brief from the cathedral that states very clearly that what they’re looking at is a ledger stone. Or ‘a slab’ as it’s rather disparagingly referred to from time to time. “They want to throw him under a slab!” Well, no, they don’t. They’re already auditioning choirs for a funeral that’s more than a year away, so ‘throwing’ Richard under anything isn’t in any way a realistic foreshadowing of what is to come. These two paths are doomed to not meet in the middle. There might be something that can be done to persuade the Chapter to change their minds. It won’t be done by getting ‘distraught’ and seeing them as the enemy. It won’t be done by newspaper polls. It might be done by quiet, calm and rational argument, which I’m sure is being tried behind the scenes. But maybe the decision is made and can’t be changed. If that’s the case, then the money raised by the Society should be used to make the best, most respectful and beautiful ledger stone a king of England ever had. Maybe then we can get back to what’s really important – a man who everyone thought was lost forever has been found. Setting aside differences with university, cathedral and the rest of the world would let us get back to that. It’s something we should be marvelling at, not nitpicking. My post on Alice Montacute, countess of Salisbury. My thanks to Sarah for inviting me to contribute to a very exciting month of guest posts. Check them all out while you’re there! There’s been a lot of discussion lately about historical conjecture and speculation, whether it’s right or wrong; whether specific examples are right or wrong. It’s a complicated and vexed issue because it’s always right and never wrong; or never right and always wrong, or sometimes right… only we might never know for sure which. How we respond to conjecture and speculation is entirely subjective. Even when we run it through our most objective of objective filters, it’s subjective in the end. That’s because it’s more about belief than knowledge; more about ideas than facts. But that’s the important part of the process that’s often missed: running it through filters of objectivity. Not just accepting it because it fits our preconceived ideas, or because we like the person doing the conjecturing and speculating. At it’s most logical and sound, where bits aren’t added and others taken away, when its expounded by the most intelligent person in the universe, we can only plot it on a ‘likeliness gauge’; on a ‘I could buy that’ scale, where 0 is ‘not at all’ and 10 is ‘without reservation’. And the same piece of conjecture and speculation is going to be in different places on this gauge and on that scale for different people. Fascinating? Yes. Frustrating? Hell, yes! 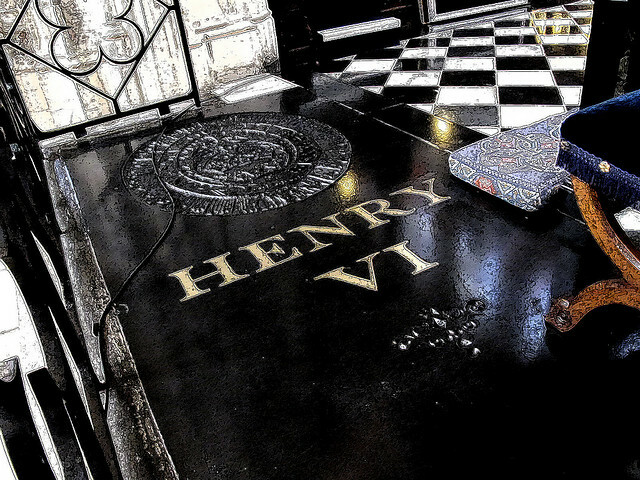 The trouble is that so much of history has become a matter of belief, especially (and you knew this was coming) the bits of history that involve Richard III. Person A (who really really likes him) conjectures and speculates the very best of and for him. Person B (who hasn’t got a view either way) conjectures and speculates more neutrally. Person C (who thinks he was evil personified) conjectures and speculates the very worst. I know which of the three I’d be more likely to listen to. As for the notion of ‘objectiveness’… I’ve come to understand that, in another semantic twist, it to has come to mean “thinking like we do” as well. Saying “I don’t know what happened, I want to read everything I can and think about it for a bit. Here’s some ideas, they might be wrong, but hey! it’s a start!” isn’t, apparently, ‘objective’. Saying “I’ve just read all this stuff written by various Persons A and they’re dead right!” is ‘objective’. Apparently. In fact, the more actual objectivity you have, the more you’re shoved into the Person C basket. And they’re not hugely more objective than the Persons A. See how complicated it is? No wonder I’m exhausted! So, just to set the record straight, I’m not a ‘traditionalist’ (with or without a capital T), I’m not an ‘opponent’. And I’m not an ‘atheist’. (Well, I am, but not when it comes to Richard III. Because he’s not a deity.) I’m just someone who wants to find out (if that’s at all possible) what went on, without too much interference from Persons A and C.
I wasn’t planning to write yet another post about the bad behaviour of authors, but the last few days have seen yet another mini-explosion of authorial hooliganism that I just had to put pen to paper… fingertips to keyboard. This has been prompted (again) by writers’ responses to critical reviews, two in particular. One was erudite, well written, well researched and referenced. The other was head-scratchingly unintelligible. I’m not going to provide links because I don’t want to add to the flamewar. Instead, I’m going to use these reviews, and the fallout, to annotate yet another Advice for Writers list. That’s quite an achievement, if you’ve done it well. For the sake of the exercise, I’ll assume that you have. You’ve gone through several drafts, checked grammar, spelling and formatting. You’ve let people you trust read it and thanked them for their honest feedback. If you have the funds, you’ve sent it to an editor. It’s as good as you can get it and now it’s for sale. And review. Your work is Out There in the world, waiting for people to buy and enjoy. You’re sitting back and waiting for all the glowing reviews that you just know are going to come flooding in because you’ve written the Best Book Ever! Here’s what you haven’t done: you haven’t entered and won a cleverness competition with all the people out there too stupid and too illiterate to write a book; you haven’t provided the world with a masterpiece that all who read will gasp and marvel at; you haven’t proved your intellectual dominance and invincibility. Someone’s going to read your book and they’re not going to like it. You can’t help that. You’ve done everything you possibly can. It’s not your fault the world doesn’t hail you as it should. You read a review and you learn that, according to one person (or maybe even more) your story stinks, your dialogue is stilted, you’re repetitive, your sentences are too long, you’ve made errors of fact, the formatting’s out, you didn’t proofread as carefully as you might have, the twist at the end is baffling, the prose is turgid, your plot unengaging, your characters unlikeable and one-dimensional. And this hurts. It hurts bad. You have every right to be hurt by these words. Your first instinct is to believe that this reviewer is out to get you. They want to destroy your writing career. Because they’re jealous. And stupid. They’ve probably only read two books in their whole life! Maybe they need therapy. And, if you only took the time out of your busy life to explain why they should have loved your book, they’ll understand, read it again and fall in line with all the other people who love your book. A visit to Amazon to leave one little comment won’t hurt, surely? And here’s where it starts. See, there are people who spend a lot of time on Amazon, buying books and reviewing them. Some of them are kind in their criticism. They genuinely want to be helpful. They believe that if they point out the flaws in a book, the author will be able to use this in their future work. “The dialogue was a little stilted” might lead the writer to improving their dialogue. It’s what happens to the reviewer in their workplace. They get performance reviews that aren’t designed to make people feel bad. They’re designed to let people know how they’re going with their work and make improvements where they’re needed. That’s the way to look at book reviews. Even though – and this is a crucial point – they’re not written for the benefit of writers but for the benefit of potential readers. The reviewer is less interested in you knowing that your dialogue is stilted than in letting potential readers know this. Some might not care, others might not notice, others still might disagree. I never buy a book before I’ve read a bit of it. A lot of people are the same. “Oh, someone thinks the dialogue is stilted,” we might say. “Better check that out.” Then, after the ‘look inside’ has been done, we’ll either agree, disagree or not care. This will influence our decision to buy the book, but isn’t that what reviews are all about? You’re asking people to pay for something. Anyone who hands over money in return for a product or a service has the right to know as much about the reliability, suitability or performance of that product or service as they can. And, if they use that product or service and find it unsatisfactory, they have the right to let other people know that. That doesn’t mean they’re jealous of the product-maker or the service-provider, nor does it mean they’re out to get them. (Sometimes, a review is personally motivated, but this is rare and can usually be spotted. Writers with sockpuppet accounts are always rumbled in the end. “I didn’t enjoy this book” however badly worded, poorly spelled or expressed isn’t a sign of jealousy and spite.) Most reviewers aren’t even thinking about the writer when they post a review. They’re thinking about themselves and others who might take a look at the book with a view to buying it. THIS IS WHAT THE REVIEW PROCESS IS FOR! Writers behaving badly threaten this process. I am one writer who will not thank them for that. But you’re hurting and the review was written by someone who doesn’t know how to use commas! And they spelled ‘dialogue’ wrong! Clearly, they’re an illiterate, jealous 10 year old, full of spite and malice, who wants to make you cry. They need educating. You have links to all the fine, positive, glowing reviews that you’ve received for your book. You have all those awards you paid good money to win. And you have clever people, people with taste and intellect, who all just love your book! If you just pointed this out to that illiterate, stupid, malicious, possibly certifiable reviewer, they’ll be ashamed of their words and the hurt will go away. They’re just people who have a real life, a personal life, a private life. And this is off-limits to you, the writer. 1. Don’t go to Amazon or Goodreads to respond to a review of your own or a friend’s book. If you feel you must rebut, save it for your blog. Don’t stray into personal insult, stick to the points. Better yet, when you discuss this review on your blog, find the bits that are useful and thank the reviewer for pointing them out. 2. Don’t throw a facebook pity party to get your friends, fans and family to respond to a review. People can see that a mile off. Your friends, fans and family will have a ‘defend our friend/favourite writer/spouse’ thing going on and they will be feral. This will hurt the reviewer, which is your aim. It might intimidate them to silence. Which is your aim. It might get other people out on your side as well… No, it won’t do the last. It will attract the lurkers I talked about earlier. And they will call your feral and raise you a feral. 3. If you ignore this advice and get into a flame war with reviewers or lurkers, keep reminding yourself that calling their place of work, or their home, or letting them know that you know where they live, where they work or where they eat lunch is to stray into Sociopathland. You have no right to do any of these things. If you keep it up and migrate to Stalkerland, YOU will be the one who ends up in trouble. Meanwhile, your name will be on a sizeable number of Never to Be Read lists. Maybe you can comfort yourself with the notion that controversy sells books. It might. You might get a spike in sales. That doesn’t mean you’ve won a bunch of hearts and minds. When all those avid bandwagon jumpers read your book and find out it’s YOU, the obnoxious writer, that’s controversial, not your work, they’ll drop you like last week’s cold potato. You’ve gained nothing in the long term, except a reputation for being obnoxious. And a bullly. And possibly even a stalker. 4. This applies to you as friend-of-writer as well. If your writer friend gets a less-than-stellar review and they say “Please go to Amazon and vote this loser down!” take a deep breath and try and find a better way to help them. Remind them of what they have to lose. Help them put this one (or two, or even more) review into perspective. Read it and find the bits your friend might find useful. If necessary, say something like “That’s just one person. Look at all the positive reviews you’ve got!”. 5. Don’t go to Amazon or Goodreads to respond to a review of your own or a friend’s book. 6. Don’t go to Amazon or Goodreads to respond to a review of your own or a friend’s book.